Sales Department　We provide our customers with dependable products which contribute to the reliability of electricity. Electricity Department　Pursuit of Safety, Reliance, and High Performance through our original developed technologies. At our Kawasaki Branch office, we started producing and selling electrical fuses from 1966. We recently started producing electrical fuses for forklifts and are the company which specializes is producing and selling low voltage electrical fuses in both alternating current and direct current. type fuse used for electric power supply boards in communication equipment, control boards related to electric power, and in the controllers of electric work vehicles. Our various types of polishing materials such as Kokonoe Cerium pad and kokonoe pitch, which were developed as a result of our painstaking research are used mainly for cleaning lenses of cameras, spectacles,various types of OA equipments. and LCD displays. 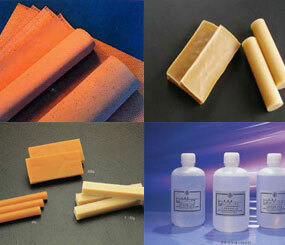 Furthermore, our polishing materials have also been used to polish special sheet glass. Our various waxes including Kokonoe Wax has been developed as a bonding agent for metals, ceramics, glass and crystals which need masking and precision process in the manufacturing of semiconductors. Although Japanese companies usually purchased similar bonding agents from foreign countries in the past, our Kokonoe Wax has been gaining popularity with our customers as a reliable and high-quality wax made in Japan.